Nowadays, kindergarten is becoming a big social problem due to the problems in kindergartens like child abuse by teachers and conflicts between parents and teachers. Currently, the government has released a list of problems in private kindergartens and conducted a complete investigation into all kindergartens. I looked into the thoughts of a current kindergarten teacher about these various events and responses of the government. 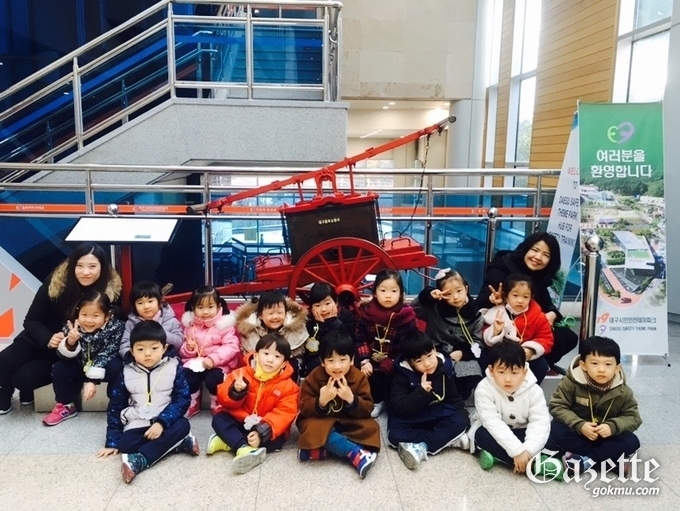 Hello, I am Jeong Sul-hee, a third year toddler teacher who loves children very much and prays for them every day. 2) What do you think about the problems in private kindergartens? I think they should be fixed. If they know exactly the meaning of running kindergartens and daycare centers, they wouldn’t have them, and they shouldn't. A true teacher should be able to love, respect, and value children. You should think a child is someone who will save the country and the world, and should run a kindergarten with the mission of a teacher, not just your own interests. 3) The government decided to conduct a complete investigation about the private kindergarten irregularities, do you agree with that? Yes, I agree. If there is anything bad, I think we should correct it. 4) If there are any complaints from children’s parents about irregularities, please tell me how you will deal with them. If there is an irregularity in my kindergarten, after I gather all the details about that, I will tell the facts without lying and apologize to the children’s parents. 5) The government required all kindergartens to have CCTV because of the child violence by teachers. Please tell me your thoughts about that. There are many advantages and disadvantages of installing CCTV. The good thing is that when incidents happen in kindergarten, we can solve it by knowing the exact cause of the incident. But installing CCTV means parents do not believe teachers. Therefore, trust will be lost between parents and teachers. And because CCTV does not hear any sound, the act of a teacher hugging a child, stroking a child’s head and patting a child’s back to comfort her may seem inappropriate on CCTV. This can lead to misunderstandings, and it can distract a teacher from taking care of children. These days, the rules of prohibited behavior of teachers have become very difficult, so just watching the video on CCTV will cause a lot of misunderstandings. 6) Finally, as a kindergarten teacher, please tell me if there are better or other ways for kindergartens to be improved. The duty of a toddler teacher is to take good care of children and help them grow up to be great people. If a toddler teacher can work in a better environment, teachers will be able to take better care of their children and could make better kindergartens.